← 11 Reasons Why You’re Great! There are two dates in November that are special to my family: the 10th and the 14th. Mrs Mom always told us that me, Fatimah and Ali were lucky to have a second mother. Fatimah and Ali used to ask who that other mother was, but I knew just the person Mrs Mom was talking about. Dr Auntie, Mrs Mom’s elder sister, was someone who had been there for us right from the start. She’s not just your average auntie! Out of everybody on Earth, I haven’t met anybody that could replace her! She’s loving and understanding, and it seems that her heart is made of pure gold. I don’t think I’ve ever seen a day go by without Mrs Mom and Dr Auntie talking to each other, and by that, I don’t mean just once, I mean at least 10 times (or 100, I lose count)! Mrs Mom and Dr Auntie are tightly knit and are very close sisters; I think we only ever need to make a phone call if we’re in urgent need of help! Sometimes, Mrs Mom doesn’t break any good news to us until Dr Auntie is tuned in and listening! And that is how important she is to the family! Another great trait that makes Dr Auntie ‘Dr Auntie’ is that she’ll never say no, and will do anything to fulfil our needs. I think that if I asked her for £1,000,000, she’d rob a bank just for me (although, of course, she’s an honest and kind person, so I highly doubt that she’ll do anything of the sort. I really need to read those T’s and C’s.)! I can still remember how she used to always find a way to make me happy when I was little. She knew I was the kind of kid that absolutely LOVED opening presents, so, on top all the other presents she’d got for my birthday, she’d take the wrapping paper and wrap anything she could find – literally. Books, socks, pens, plates. In fact, I still recall one account where I was surprised with a biscuit! Isn’t she sweet? There’s many other qualities that make her probably the best auntie ever (subject to prejudice and sheer adoration! ), so it’s no wonder nobody was like her! She’s my biggest inspiration and is somebody that always tries hard! She won’t give up and will not stop at anything to help her family! She’s definitely the role model to follow! Now, coming back to those two special dates in November, the 14th marks Dr Auntie’s birthday! The whole family looks forward to this day, because it’s that time of the year when we can really thank her for everything she’s done for us! Dr Auntie has, of course, done many favours for me too, so I have specially dedicated a poem to her, which, I must admit, is small compared to what she has done for me, but is my way of saying thank you. Dr Auntie, this is for you! You’re funny, loving, you’ve got a heart of gold! We can just give you a yelp! It seems there’s nothing you can’t do! In the dark, you’re our brightening guide! Because when you’re around, no hope is gone! And it’s a reason for you to shout HOORAY! Happy birthday, Dr Auntie! May God make this the best birthday ever! p/s: Dear Dr Auntie, please pray for my interview, so I can bring back the biggest birthday present of all! Posted on November 14, 2017 by The Pawsome Lion	• This entry was posted in Magic Ink, November 2017 and tagged ali, ali bubba, ali the salt bubba, auntie, Birthday, birthday girl, blog, blogger, Dr. Auntie, fatimah, Happy Birthday, Little Miss Diva, Mr. Dad, Mrs. 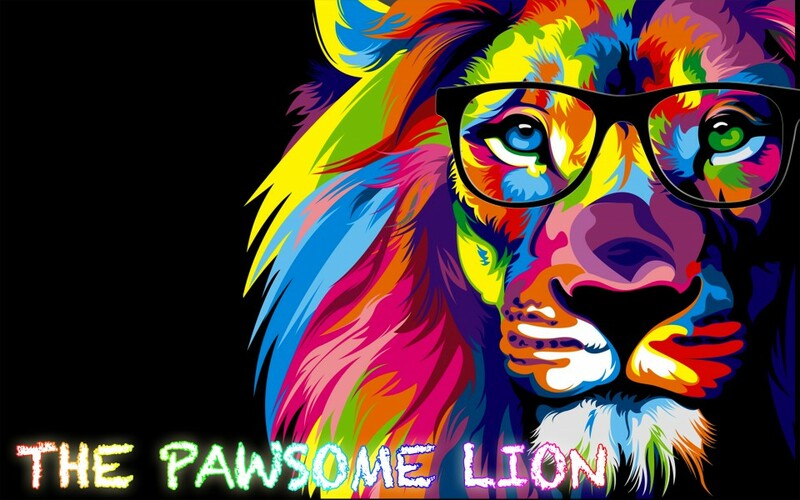 Mom, pawsome, pobble, relative, simply the best, the pawsome lion, youngest guest blogger. Bookmark the permalink.